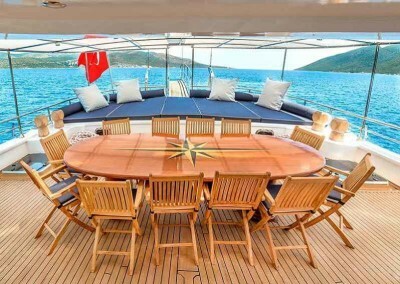 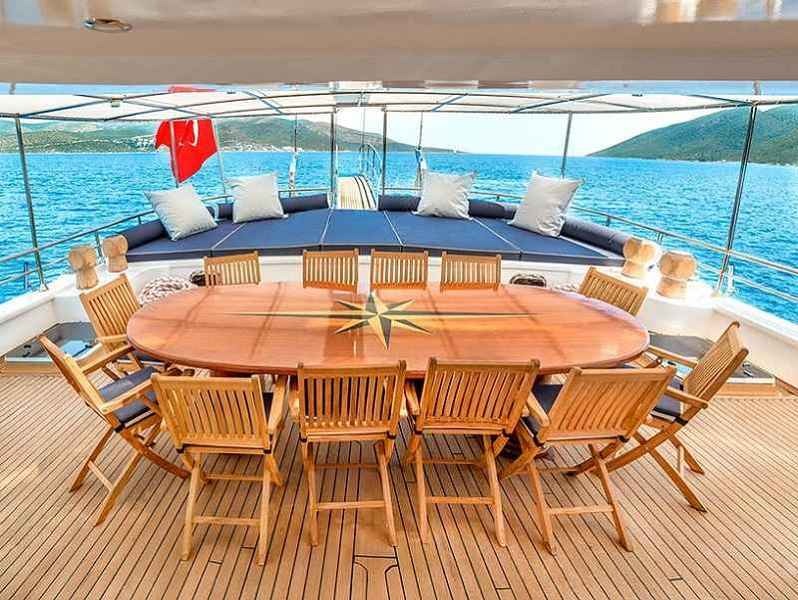 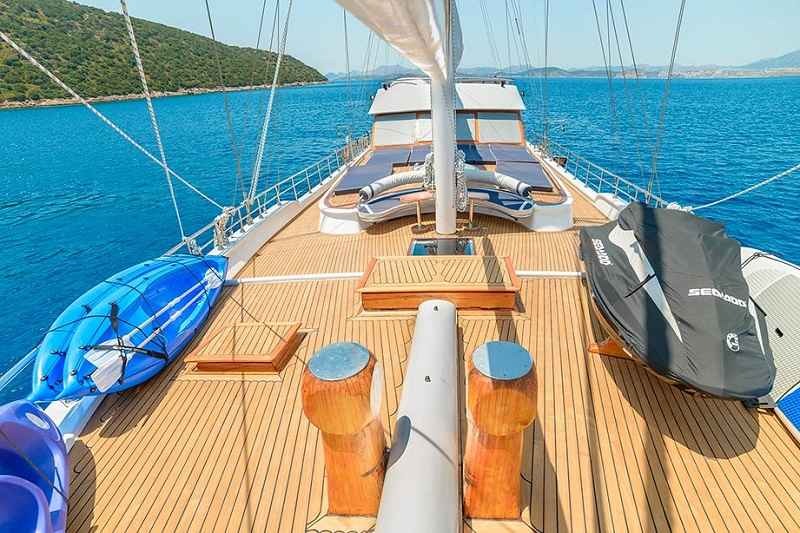 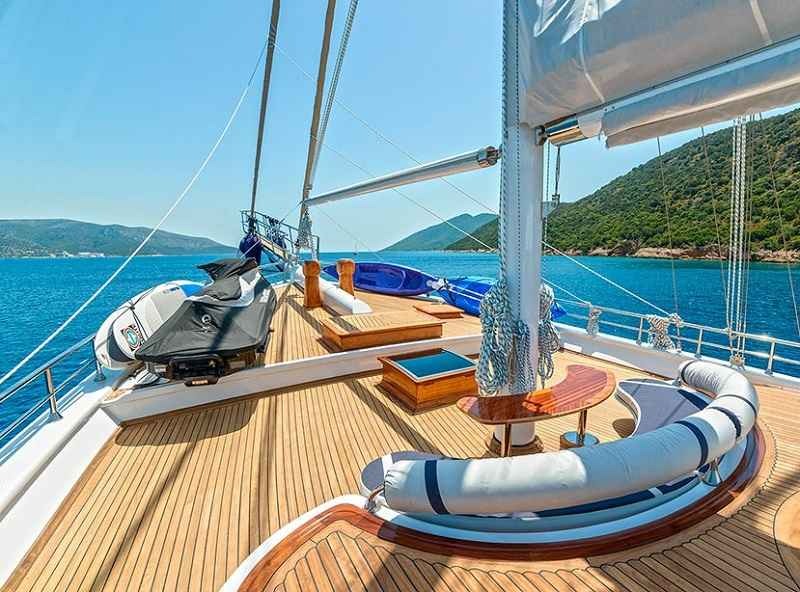 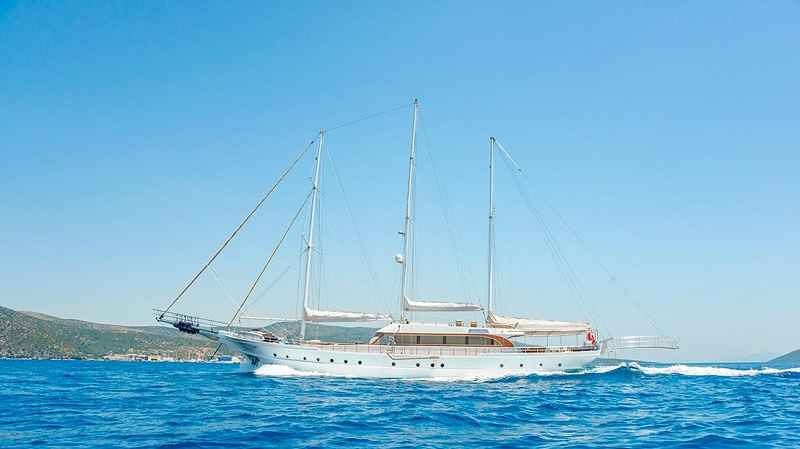 Gulet Bella Mare is a perfect example of a Turkish wooden gulet and is a great charter choice for a fabulous blue cruise vacation. 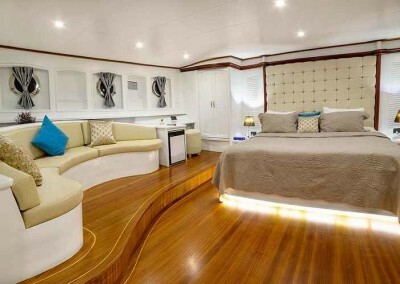 Sailing in the comfort of your home. 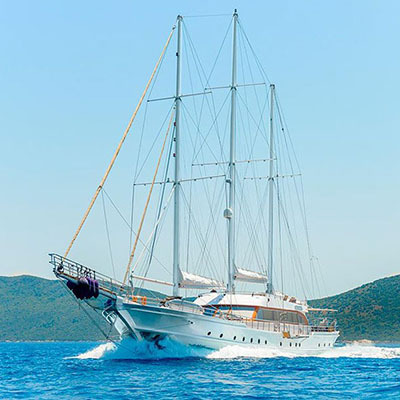 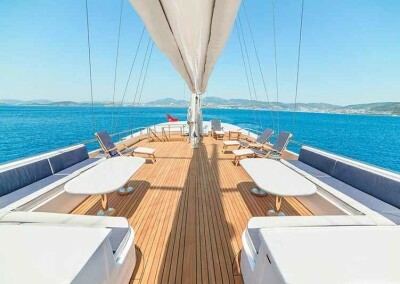 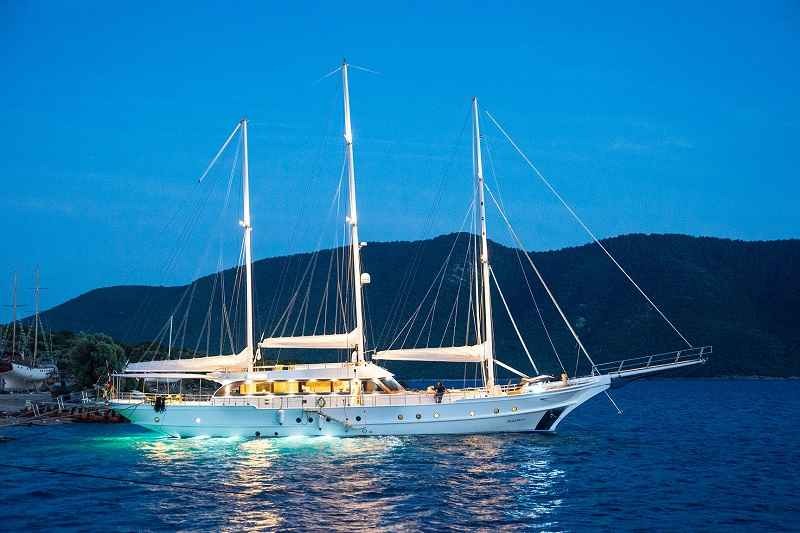 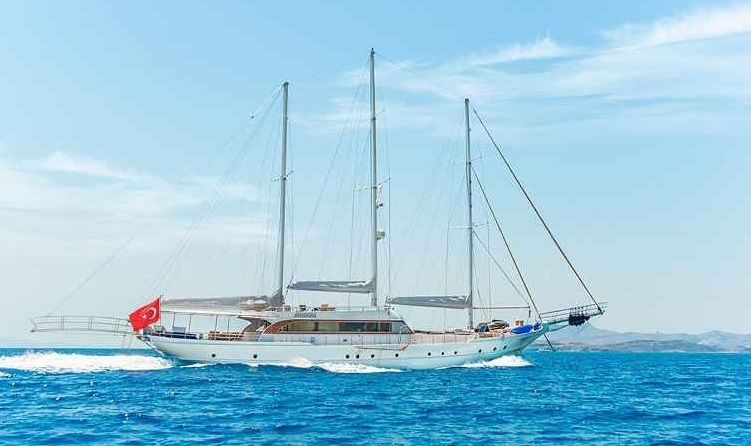 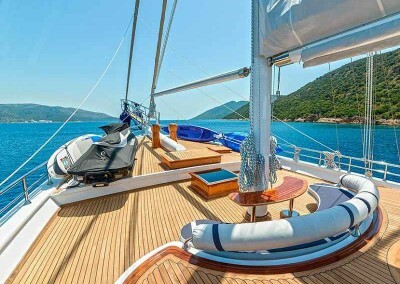 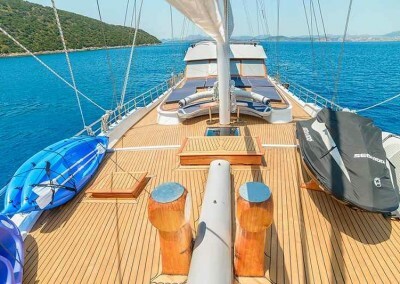 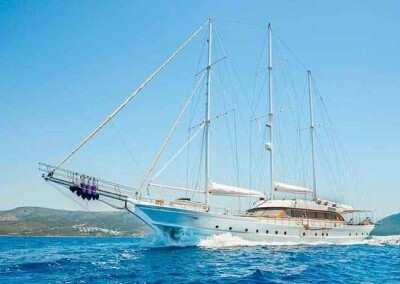 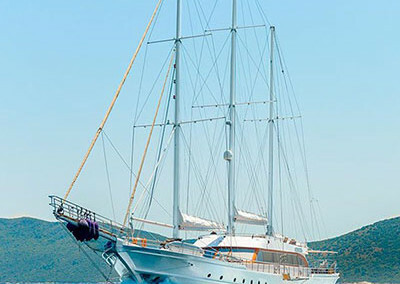 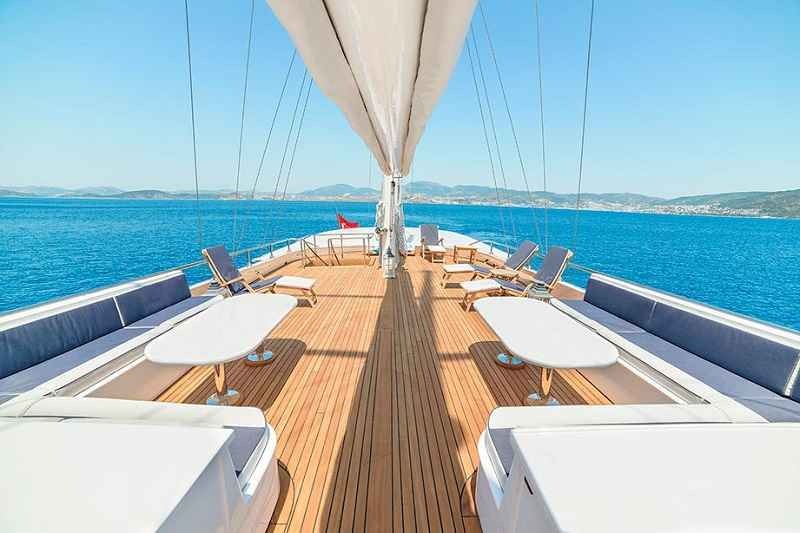 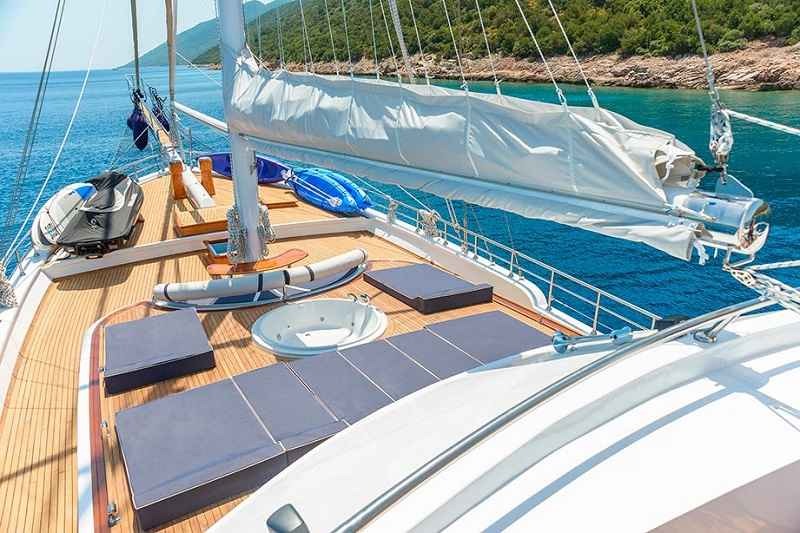 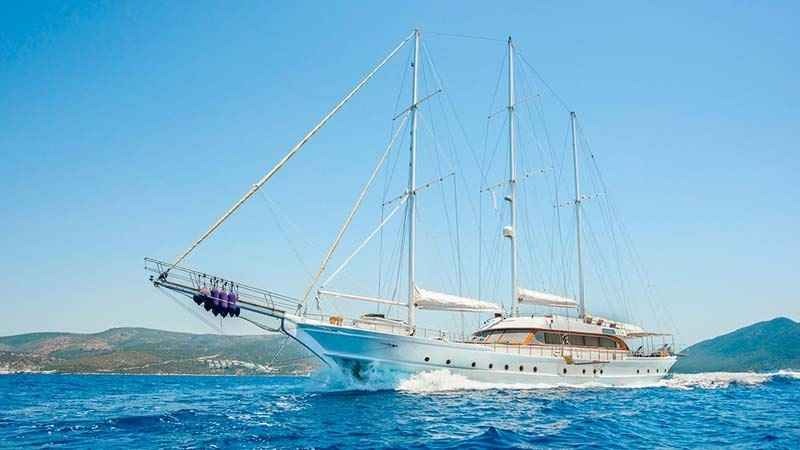 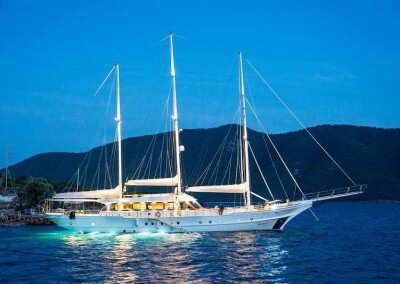 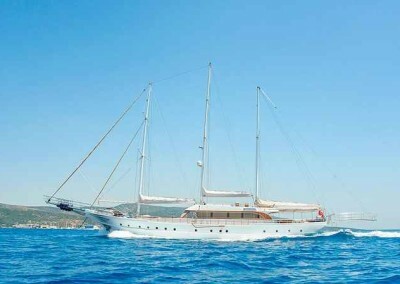 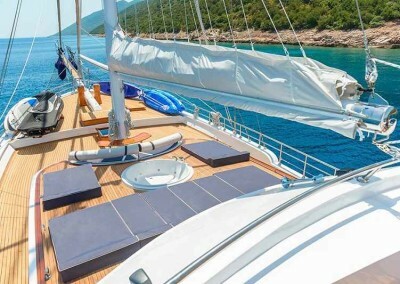 Gulet Bella Mare accomodates up to 12 passengers in 2 master suite with french bed , 2 double cabin with french bed and 2 twin cabins with two single beds. 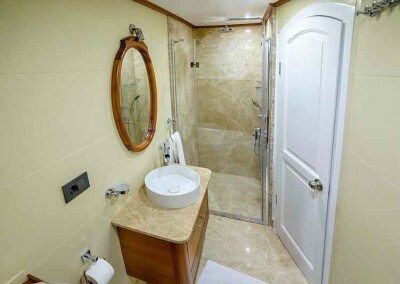 All cabins are equipped with TV / DVD and stereo systems and have ensuite facilities. 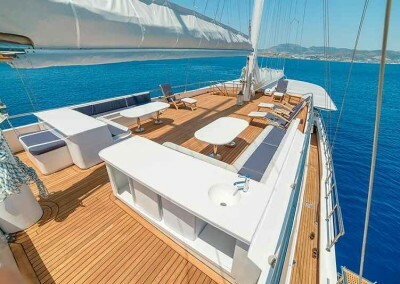 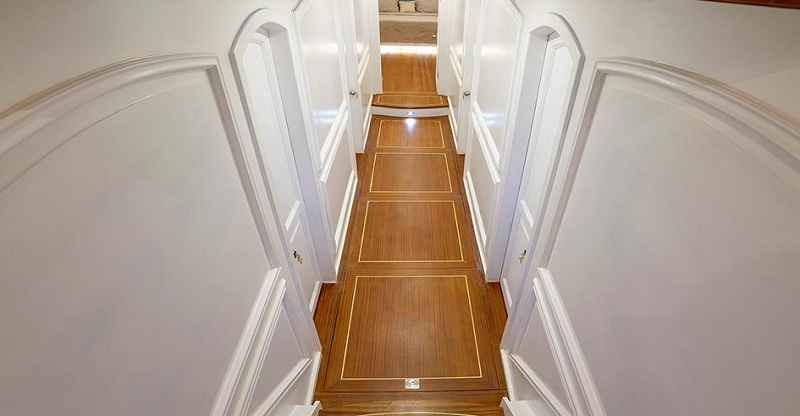 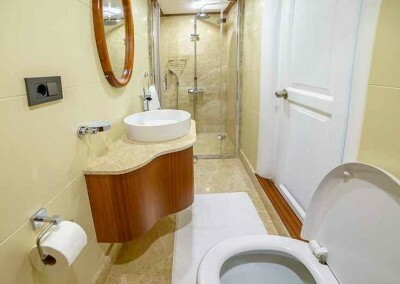 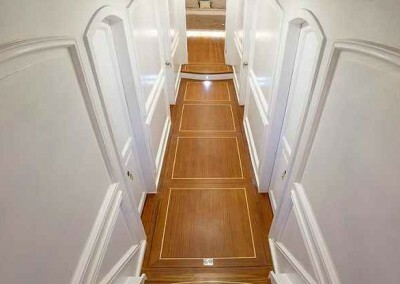 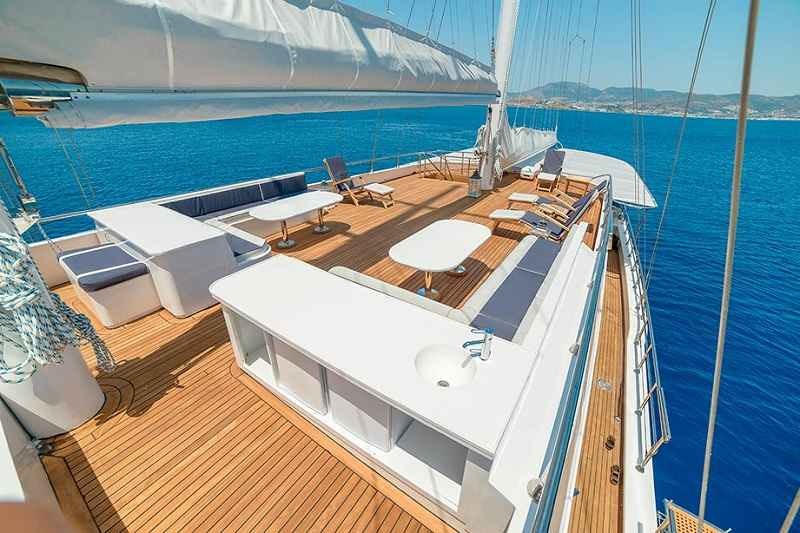 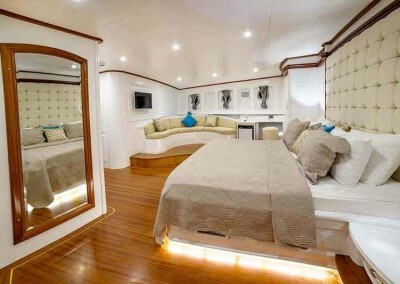 The entire yacht is airconditioned, including the cabins. 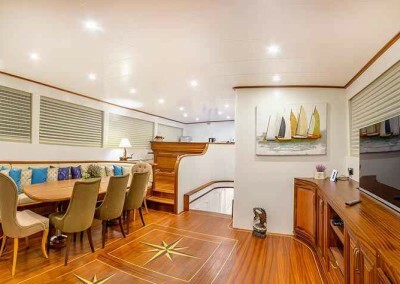 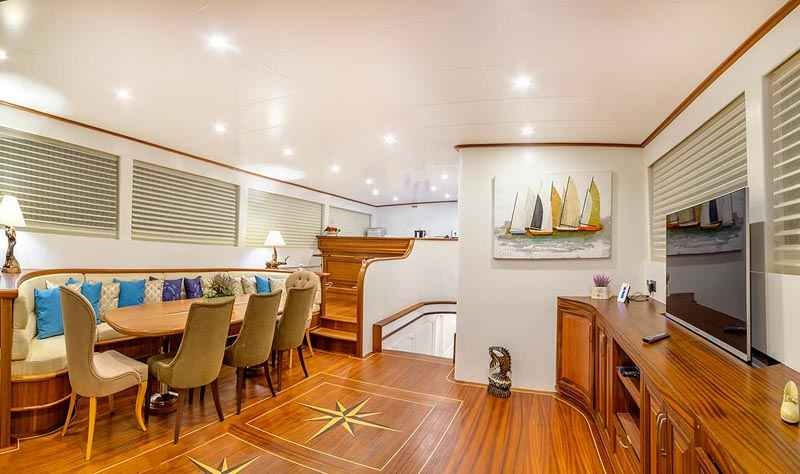 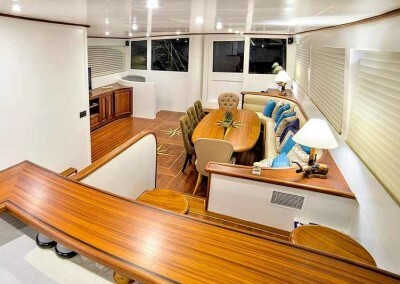 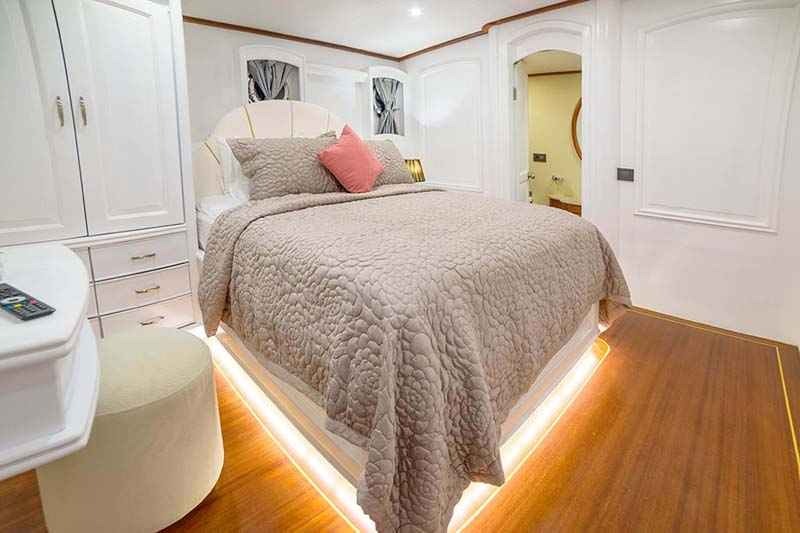 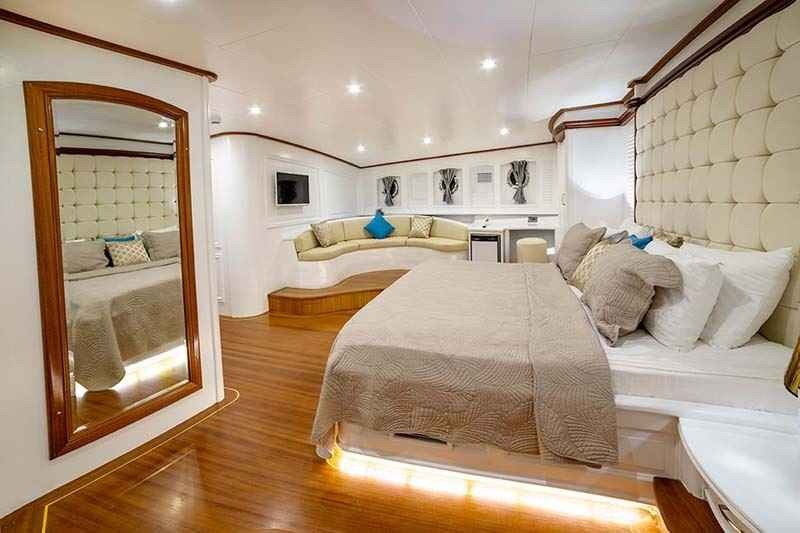 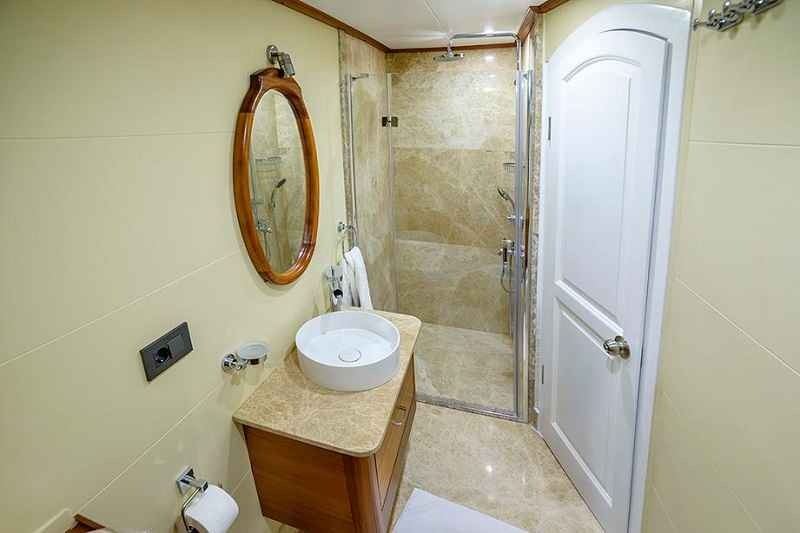 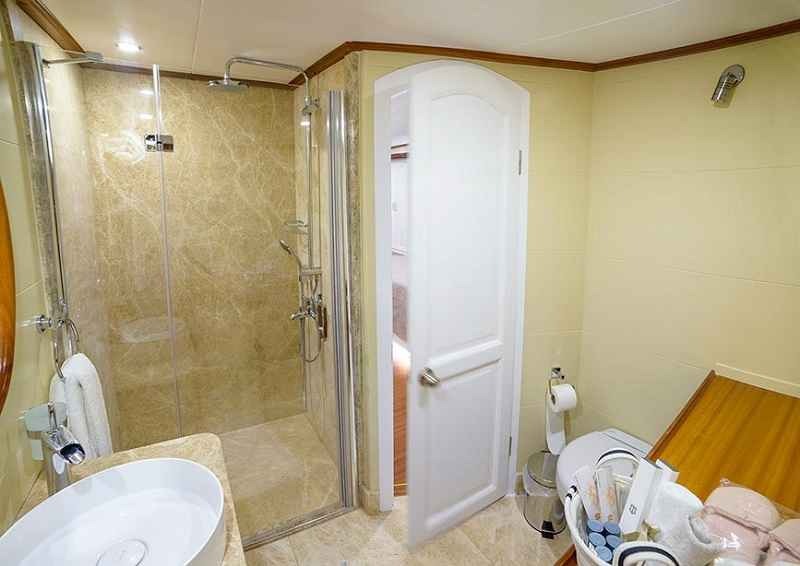 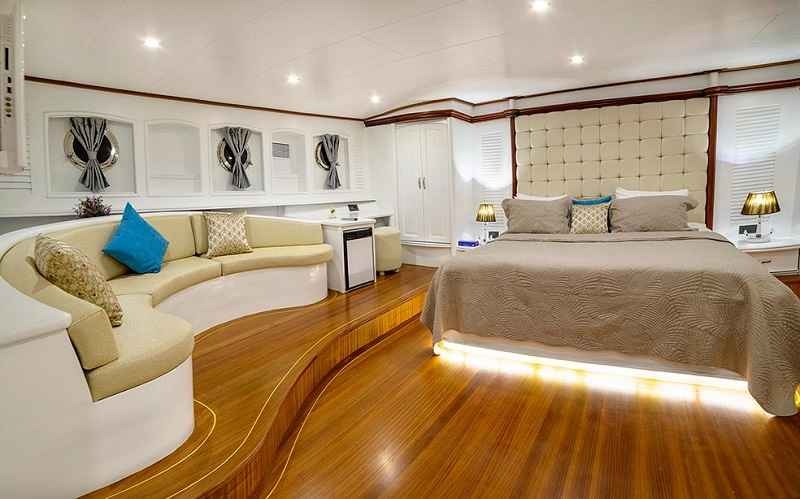 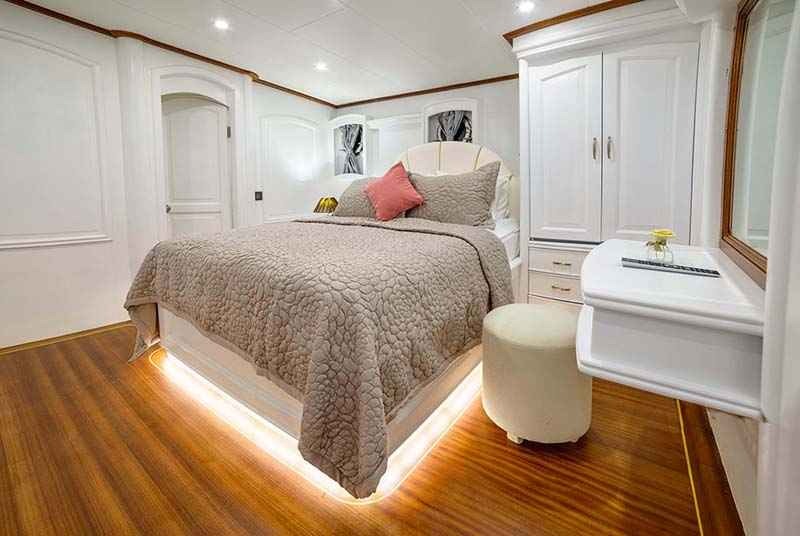 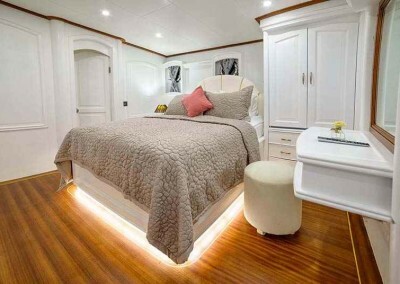 All cabins, elegantly and spaciously designed, are furnished with settee, dressing-table, wardrobes and are equipped with audio-video entertainment center. 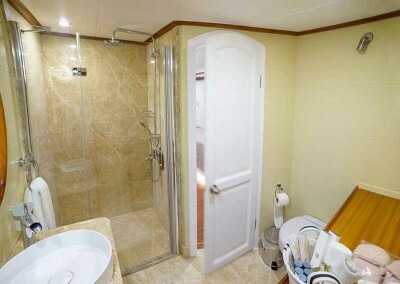 En-suite bathrooms are fitted with hydro massage shower.